AIM HIGH' with the latest in shooting eyewear from Ducks Unlimited. These lightweight glasses feature adjustable nose pad, temples and lens pitch ensuring your comfort so that you can always hit your target. 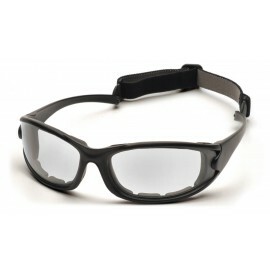 The high-grade polycarbonate anti-fog lenses provide enhanced clarity, high definition and contrast. The five different lens options help you to take aim in any light condition.